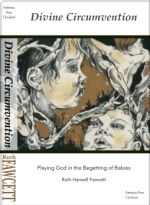 Purchase Books by Ruth Fawcett Ph.D. Please make your selections below. Freight is included in prices. Those wishing to order special quantity, use link bottom of page. Signed copies are available. Add request with order or email us.